On Dec. 23rd we welcomed a 12th generation Nantucket native to the world at The Birthplace! 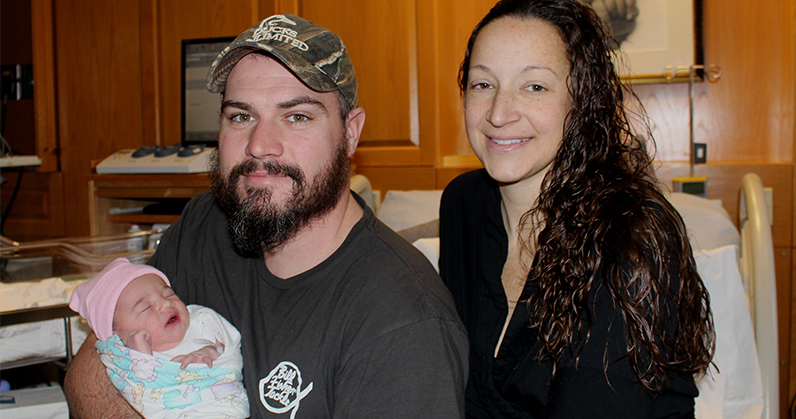 Avery Sandsbury, the daughter of island residents Josh and Jamie Sandsbury, was born at 6:48 a.m. and weighed 7 pounds, 13 ounces, measuring 19 inches long. Josh shared with us his family’s genealogy book that traces its roots back to the 1700s on Nantucket. Happy holidays and congratulations to the proud parents! 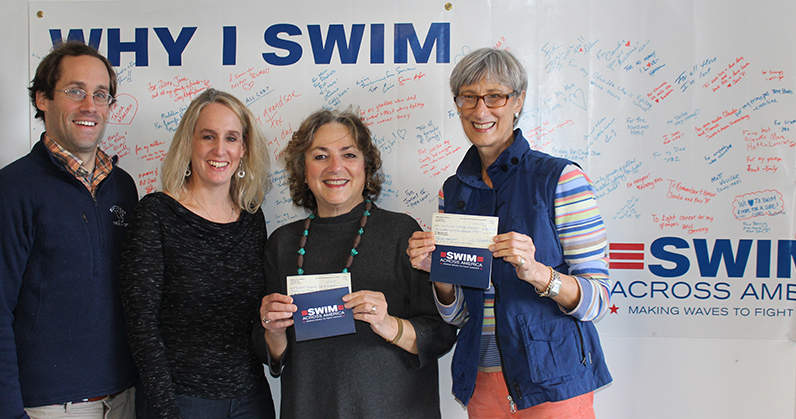 Swim Across America Nantucket‘s lead volunteer organizers Jim Pignato and Jill Roethke stopped by the hospital yesterday to present checks representing the funds raised by more than 280 participants in the SAA open water swim event in late August. This year’s incredible donations included $185,000 to the Nantucket Cottage Hospital cancer care program and $75,000 to Palliative & Supportive Care of Nantucket for its supportive cancer program. Pictured here are Jim, Jill, PASCON program director Charlene Thurston and hospital president and CEO Dr. Margot Hartmann. We are so grateful to Jim, Jill and all those who participated in or supported this year’s Swim Across America at Jetties Beach. Once again, the island community came together for this wonderful event and cause that aids Nantucket cancer patients. Thank you!